Electrical wires and guide wires used in a variety of devices often need to be stripped clean of their insulating jacket without damaging the conductor in order to ensure good ohmic contact in the circuit nodes. . Many different techniques are currently used including mechanical stripping and chemical processing. Laser wire stripping selectively removes the insulating jacket without damaging the wire(s) within and without hazardous waste. 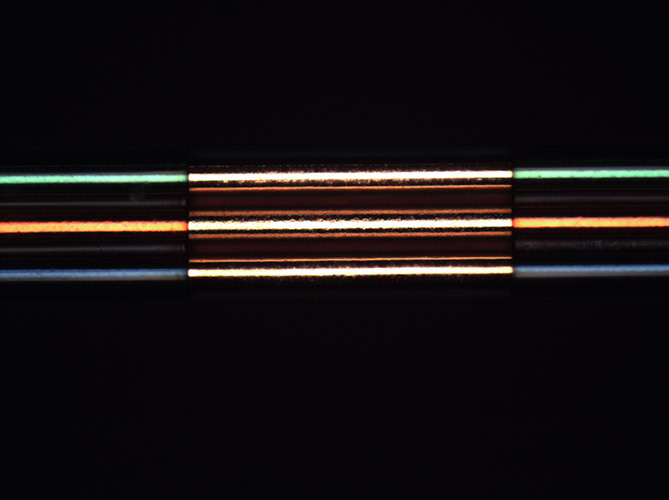 Attributes of the laser including wavelength, energy density and beam shaping make it possible to ablate polymers and not metal for precision material removal without leaving a residue. 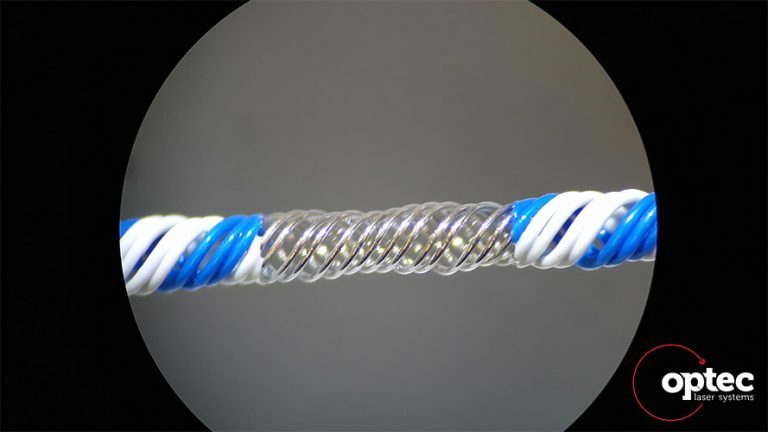 All of these characteristics make Laser Wire Stripping the go-to technique for demanding applications where the highest standards need to be met such as in medical devices and consumer electronics. Optec offers a variety of systems that remove lacquers, fluorinated and non-fluorinated polymers from most types of wires, including magnetic wire, down to 60 AWG. Systems can be configured for reel to reel, reel to cut and single length processing.